Bridgeport has just released the results for the Trilogy Series voting. The winner of the voting was trilogy 1 and as such, it will become a year round offering called Conviction Pale Ale. 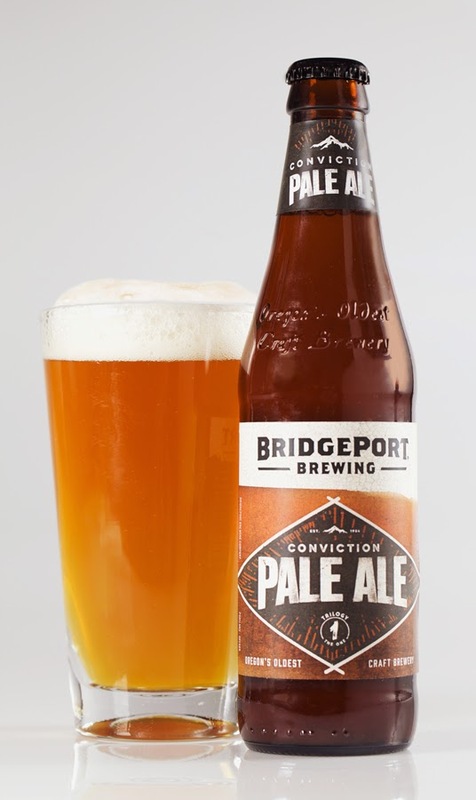 BridgePort Brewing Company, Oregon’s oldest craft brewery, proudly announced today the newest beer in its year-round line-up: Conviction Pale Ale, available now. Throughout 2014, BridgePort fans had the chance to try each of the three Trilogy beers, created to celebrate the brewery’s 30th anniversary. At the end of the year, they placed their vote for which beer should come back as a year-round brew in 2015. Trilogy 1, a crystal dry-hopped pale ale, was the clear fan favorite and is now back on shelves in 2015 as Conviction Pale Ale. Conviction Pale Ale is an easy-to-drink, dry hopped pale ale that celebrates the incredible bounty of hops that come from Oregon’s Willamette Valley. The soft malt flavor and light body associated with pale ales make them the perfect base for showcasing the Crystal hop, a favorite amongst BridgePort brewers. The presence of Rye malt gives this beer a slightly spicy malt character and the Munich malts add a soft mouth feel.